Walter Unbehaun, criminal homesick for prison robbed because he missed jail. Home Scandal and Gossip Walter Unbehaun, criminal homesick for prison robbed because he missed jail. Walter Unbehaun’s case highlights a wider societal dilemma about what to do with an increasingly elderly ex-cons, many of whom spent so much of their lives inside prison that they can’t cope with life on the outside. Walter Unbehaun, a 74 year old career criminal who has spent most of his adult life behind bars told a Chicago court that he had purposefully gone on a robbing spree in the hopes of being sentenced back to prison. 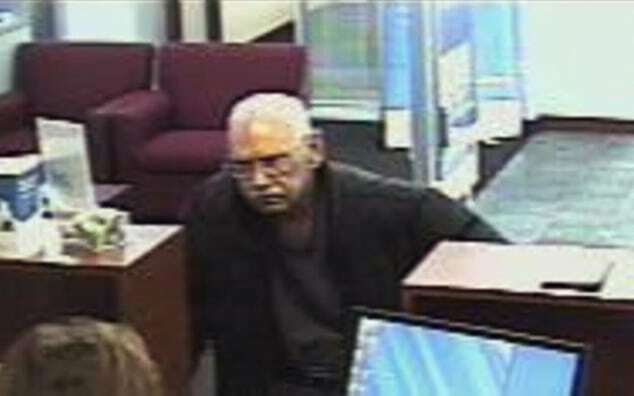 At the time, Walter Unbehaun targeted a suburban Chicago bank with an armed weapon, telling a frightened bank teller he had a gun on his person but he had no intention of using it. Upon making off with $4,178 Walter Unbehaun drove to a nearby motel and waited for police to arrive. Upon police arriving, the career criminal who is forced to get around with a cane is said to have dropped his cane, raised his hands and startled police by his apparent joy at getting nabbed. Kids, I’m going to pause for a moment while I touch myself on my mid afternoon chamomile tea…. yikes. Defense filings would show that the man had been inspired by boredom, loneliness and the conclusion that a life on the inside was preferable to life outside. Perhaps unsurprisingly no family or friends of Walter Unbehaun’s attended Thursday’s hearing. At his initial court appearance, Unbehaun also confounded his lawyer, Richard McLeese. Prosecutor Sharon Fairley conceded the judge faced a dilemma: Sending Unbehaun to prison could be seen as more reward than punishment to him, but setting him free would risk him committing another serious crime. His case raised broader societal questions, she said in one filing. As the hearing ended, Unbehaun requested that he be sent to FCI Greenville prison in southern Illinois, walking Judge Coleman through the various benefits of the facility, including good work programs. Coleman agreed to recommend that prison. She then shook her head. Questions have since been raised as to why Walter Unbehaun was not offered mental services upon being released and to what degree the system habitually fails men like him in re acclimating with the outside.